Welcome to Seller of Jewels! I am an GIA Diamond Graduate with a passion for jewelry. 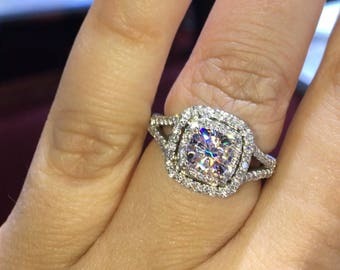 We sell all jewelry items but specialize in engagement rings and wedding bands. All of our jewelry is made in the USA with conflict free diamonds. Feel free to contact me at any time with questions you have, start a payment plan, or start a custom order. Received my ring today and I love it, very beautiful in person. Will buy another piece in the future! Trying to find the best angle to pictures of our jewelry. Finished round halo morganite engagement ring. Hard at work creating master pieces. White Gold Pear Shape Diamond Halo Engagement Ring. White Gold Cushion Cut Diamond Wedding Set. White Gold Blue Topaz Diamond Wedding Ring. 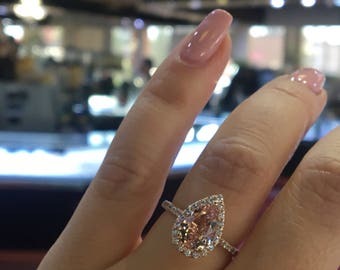 Rose Gold Pink Sapphire and Diamond Wedding Set. Rose Gold Diamond Wedding Set. Where Diamond Dreams Come True. Allow me to introduce myself - My name is David Arik, and I'm the owner of the family operated Seller of Jewels by Arik Jewelry Inc. Our family has been in business for 35 years, so we know all of the ins and outs of the jewelry business. We offer factory direct pricing, so there are no middlemen to inflate the prices. We stand behind our jewelry with a 100% money back guarantee. We strive to make lasting relationships with our customers. When you buy a piece from us, we do everything we can to make sure you come back again and again, each time a satisfied customer. Purchasing a diamond can be a confusing and stressful experience. You can spend hours researching diamonds and still be unsure. Will I make a mistake? Is what I'm being shown authentic? Am I paying too much? We understand this dilemma, and really are here to help. We are diamond and jewelry experts, and are committed to helping you get the very best value for your hard earned money. 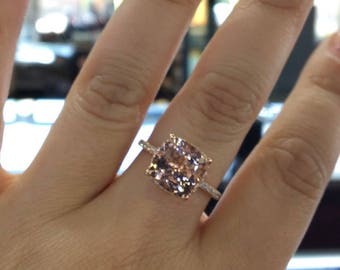 Let us help you take the guesswork our of your diamond or jewelry purchase. We will show you everything we have in your price range. You can call us for detailed descriptions of stones before you come in to buy. Every stone we sell is guaranteed to be all that you wish and more, or your money back. We are here to help you purchase the diamond of your dreams. We know how to get you the biggest and best quality diamond within your budget. We are friendly, down to earth people with a very real desire to help you, gain your trust, and earn your repeat business. Hi and welcome my name is David and am here to help make all your dreams come true. We have been selling jewelry for more than 35 years but have now decided to advance our reach and sell online. You can reach me at 626-617-5470 with any questions. Hello and welcome to Seller of Jewels. We are a family owned and operated company. We have been in business since 1976 and have now decided to sell online. We make most of our own pieces so we stand 100% behind jewelry. We are here with any questions or concerns you might have. We have a 30 day return and refund policy. If for any reason you are dissatisfied with your Online purchase, you may exchange or return the jewelry for a full refund within 30 days from the day you receive the item. HOW TO RETURN AN ITEM PURCHASED FROM SELLER OF JEWELS. Contact us on Etsy thru a message or call 626-617-5470 to let us know you would like to return the item. Repack the item(s) in the original packaging materials. To receive a refund, you must provide the ring in the condition the ring was sent to you. Please write a note inside the package with the name that was on the order so we can make sure the money is refunded to the correct person. Once you have packed the item, ship the item to 1475 S. Harbor Blvd. #D5 Fullerton, CA 92832. For your protection, we recommend shipping returns insured using FedEx, UPS, or USPS Priority Mail with a tracking number. Seller of Jewels offers layaway plans for our customers. A 20% deposit as down payment is required to secure the purchase. The customer must pay off the remainder over three months in a monthly payment program. Please contact us if you would like to set up a layaway plan. We ship worldwide. Shipping inside the United States is free. International shipping varies depending on location. Seller of Jewels orders are shipped with the reliability and accountability of FedEx or USPS shipping. USPS First Class International Mail: Orders typically take 2-4 weeks to arrive via USPS First-Class Intl. Mail. Tracking number available when choosing this shipping option, and status updates beyond the United States are only available for select countries. Many packages take time passing through customs, especially those containing jewelry. This process is completely out of our control. Seller of Jewels is NOT RESPONSIBLE for any CUSTOM FEES you made be charged with. If you have any questions please feel free to ask. We will provide proof of mailing and customs identification numbers. We are not responsible for any customs fees involved with the delivery of packages for international orders. Jewelry requires proper care and treatment for its longevity so that it can even be handed down as heirlooms to future generations without losing their shine and sparkle. Regular cleaning of Jewelry is essential to maintain shine and brilliance of jewelry's gemstones and metal. On wearing jewelry, it gets dirty as you use various skin and body care solutions such as soaps, lotions and even it becomes oily from your skin's natural oils. Even when you are not wearing them, they collect dust. You can clean your jewelry at home by your own by using soft brush, water and soap or by using readymade jewelry cleaners. You can also take services of a professional jeweler to keep jewelry clean. Jewelry should be stored individually in a soft cloth pouch or plastic zip-lock bags to ensure that a piece of jewelry or gemstone should not scratch other jewelry or gemstones. If you purchase the ring and for any reason it is not the correct size we will resize or make a new ring in the exact size you need. We are here to make your jewelry dreams come true. If you need any adjustments or changes on a piece of jewelry we have we can make the changes to fit your needs.